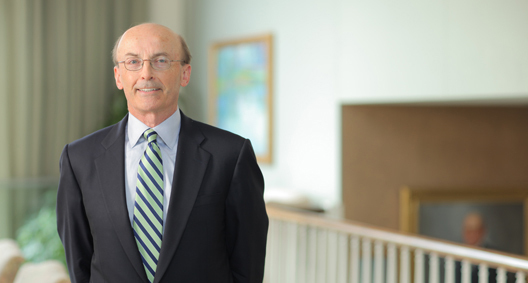 Bob Brookhiser represents clients in complex commercial and antitrust litigation in federal and state courts and in arbitration. He has extensive experience handling sophisticated and complicated matters for major corporations. Bob brings a practical approach to litigation that combines attention to detail and an ability to identify those arguments that will appeal to a court or jury. Represents a class of dairy farmers in the northeastern United States against defendants in an action alleging violations of sections 1 and 2 of the Sherman Act by unlawfully conspiring to eliminate competition for the marketing, sale and purchase of raw milk in the Northeast. The class was certified. Represents a Japanese defendant in multidistrict litigation alleging unlawful conspiracy among 39 air cargo carriers to fix the price of air freight transportation on routes to and from the United States. Represents tobacco company clients in disputes over claimed downward adjustments to the companies' annual payments to states under a tobacco Master Settlement Agreement. Filed motions in 46 state courts to compel the states to arbitrate the dispute; successfully argued appeals before eight state supreme courts. The ensuing arbitrations resulted in partial settlements with 22 states and arbitral awards in six other states. Represented a class of dairy farmers in the southeastern United States in an action alleging violations of sections 1 and 2 of the Sherman Act by unlawfully conspiring to eliminate competition for the marketing, sale and purchase of raw milk in the Southeast. The class was certified. Litigation settled for more than 70 percent of the alleged damages. Represented tobacco company clients in a suit raising antitrust and constitutional challenges to a tobacco Master Settlement Agreement. Obtained a motion to dismiss in favor of tobacco company and state defendants. The motion was affirmed on appeal. Represented a tobacco manufacturer in a successful challenge under the Commerce Clause of the U.S. Constitution to Mississippi. After the trial court upheld the statute, obtained reversal from the Mississippi Supreme Court.